If you like to hike or bike and enjoy well maintained trails, think about volunteering. 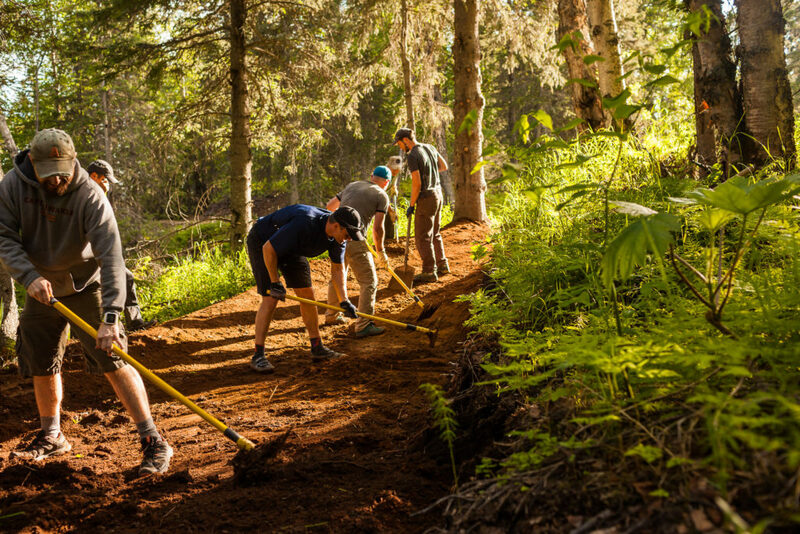 Volunteers are needed to build and maintain trails. And, we can need helpers to lead hikes, “coach” the Sprockidz, work on special events (such as the film fest), map trails, and assist in the office. If you would like to be on our ‘go-to’ list of volunteers, please fill out the Volunteer Registration Form when you become a member. We will call or email you when we need your special skills. Also, we send out requests for volunteers through our monthly E-newsletter – the ‘Trail Post’ so be sure to subscribe to the newsletter.